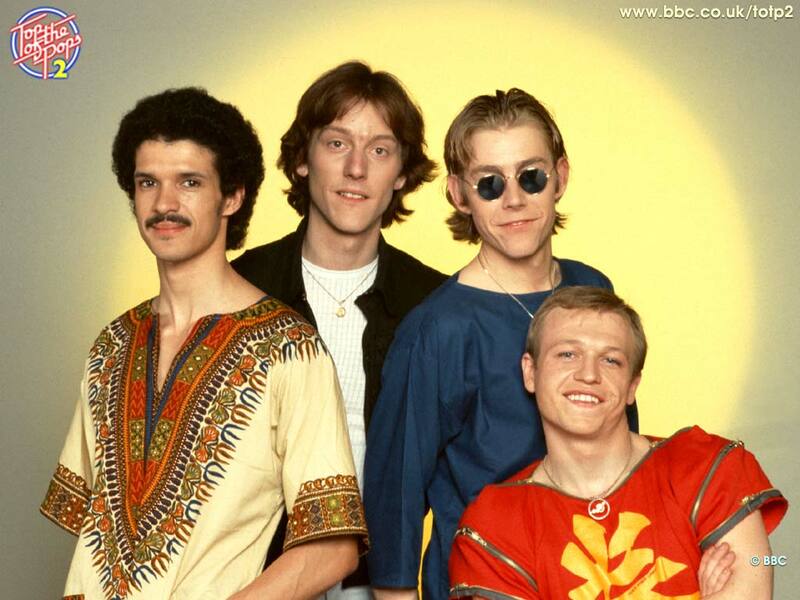 This list is an attempt to document every TV appearance by Level 42. If you want to contribute, please use the contact form. The contributors to the list are Morgan Roussel, Simon Carson and Ian Buck. 05/04/1979 – Pop Muzik (M) feat. Gary Barnacle & Phil Gould – Top Of The Pops, BBC1, UK. 1979 – Pop Muzik (M) feat. Gary Barnacle & Phil Gould – Top Of The Pops, BBC1, UK. 17/05/1979 – Pop Muzik (M) feat. Gary Barnacle & Phil Gould – Musikladen, Germany. 06/12/1979 – Moonlight And Muzak (M) feat. Wally Badarou, Gary Barnacle & Phil Gould – Top Of The Pops, BBC1, UK. 25/12/1979 – Pop Muzik (M) feat. Wally Badarou, Gary Barnacle & Phil Gould – Top Of The Pops, BBC1, UK. 01/04/1982 – More Than This (Roxy Music) feat. Phil Gould – Top Of The Pops, BBC1, UK. 24/10/1982 (aired) 19/10/1982 (recorded) – Heathrow, Weave Your Spell, Love Games, Are You Hearing (What I Hear)? (live at De Doelen, Rotterdam) – Countdown Special, Veronica TV, Holland. 07/01/1983 – The Chinese Way – Oxford Road Show, BBC2, UK. 21/03/1983 – Foundation & Empire (live) – Whatever You Want: Whatever You Didn’t Get, Channel 4, UK. 13/07/1983 – Almost There, Heathrow, Turn It On, Eyes Waterfalling, Dune Tune, Sandstorm, Love Games, 88, The Chinese Way (live at Jazz Festival, Casino Montreux) – RTSR, Switzerland. 11/08/1983 – The Sun Goes Down (Living It Up) – Top Of The Pops, BBC1, UK. 25/08/1983 – The Sun Goes Down (Living It Up) – Top Of The Pops, BBC1, UK. 29/10/1983 – Heathrow, Dance On Heavy Weather, Turn It On, Love Games, I Want Eyes, Sandstorm, Out Of Sight Out Of Mind, Micro Kid, 43, Dune Tune, Starchild, The Sun Goes Down (Living It Up), The Chinese Way, 88, Are You Hearing (What I Hear)? (live at “Zeche Bochum”) – Rockpalast, WDR, Germany. 1984 – Hot Water – Dr. Mambo, Germany. 1984 – Hot Water – Hotel American, Belgium. 1984 – Hot Water – Zondag Party, Belgium. 1984 (aired) 10/09/1983 (recorded) Band interview, The Chinese Way, The Sun Goes Down (Living It Up), Micro-Kid, 88, Are You Hearing (What I Hear)? (live at Hammersmith Odeon, London) – Play At Home, Channel 4, UK. 18/08/1984 – Hot Water – One For The Road, BBC, UK. 06/09/1984 – Hot Water – Top Of The Pops (S 21: Ep 35), BBC1, UK. 20/09/1984 – Hot Water – Top Of The Pops (S 21: Ep 37), BBC1, UK. 22/09/1984 – Almost There, Turn It On, Love Games, I Want Eyes, Foundation & Empire, The Sun Goes Down (Living It Up), Hot Water, The Chinese Way, Are You Hearing (What I Hear)? (live at The Ahoy, Rotterdam) – Veronica TV, Holland. 08/10/1984 – Hot Water – Formel Eins, Germany. 09/10/1984 – Hot Water – Musik Convoy, Germany. 12/10/1984 – The Chant Has Begun (live), Hot Water (live), Kansas City Milkman (live, only broadcast on Italian TV) – The Tube, Channel 4, UK. 13/10/1984 – Almost There, Turn It On, The Chant Has Begun, Mr. Pink, I Want Eyes, Kansas City Milkman, The Pursuit Of Accidents, Kouyate, The Chinese Way, The Sun Goes Down, Hot Water, Love Games (live at Grugahalle, Essen) – Rockpalast, WDR, Germany. 1985 – Something About You – Cheggers Plays Pop, BBC, UK. 1985 – Interview with Mark King & Mike Lindup – WAC (Wide Awake Club), ITV, UK. 01/10/1985 – Bass Solo, Something About You (live), A Physical Presence (live) – The Tube, Channel 4, UK. 24/10/1985 – Something About You – Top Of The Pops, BBC1, UK. 11/11/1985 – Something About You – Formel Eins, Germany. 20/11/1985 – Leaving Me Now – Wogan, BBC, UK. 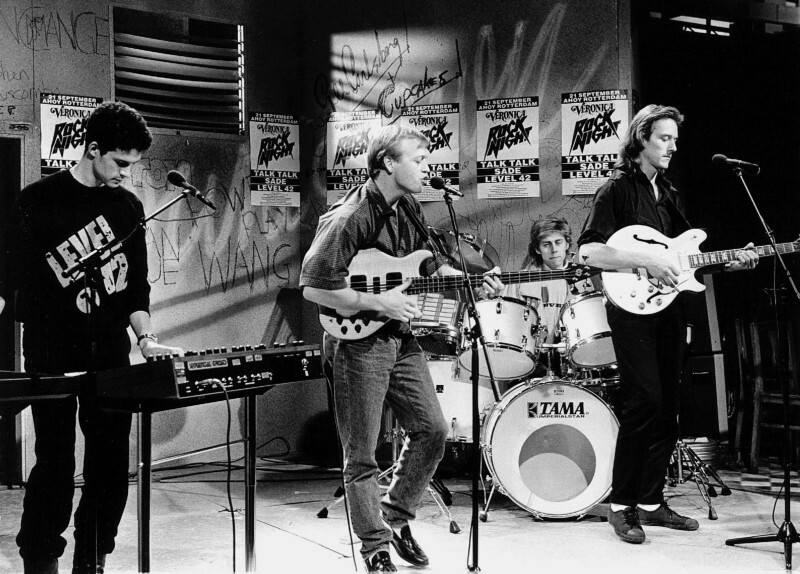 22/11/1985 – Live show split in 3 parts, Supergroup includes Stewart Copeland, Rowan Atkinson, Nik Kershaw, Mark King & Mark Brzezicki perform ‘Love Lessons’ in 2nd part of show – Children In Need, BBC1, UK. 1986 – Lessons In Love – Rockline, Les Enfants du rock, Antenne 2, France. 02/01/1986 – Leaving Me Now – Top Of The Pops, BBC1, UK. 15/01/1986 – Something About You – Super Platine, Antenne 2, France. 17/01/1986 – Something About You – C’est encore mieux l’après-midi, Antenne 2, France. 18/01/1986 – Phone chat and interview – Saturday Superstore, BBC1, UK. 04/02/1986 – Leaving Me Now – Formel Eins, Germany. 06/02/1986 (aired) 17/01/1986 (recorded) – Something About You – C’est encore mieux l’après-midi, Antenne 2, France. 19/02/1986 – Hot Water, Something About You – Super Platine, Antenne 2, France. 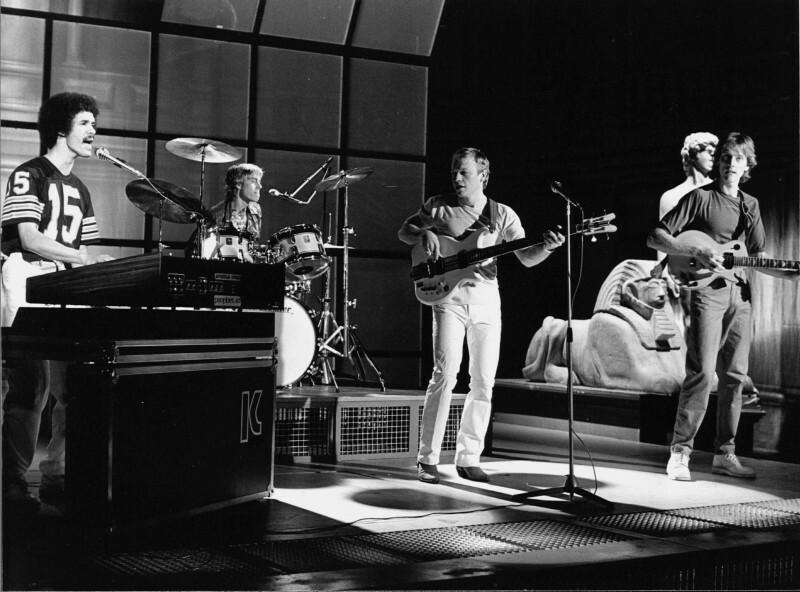 29/03/1986 – Something About You, Mark King bass solo – The Tube, Channel 4, UK. 05/04/1986 – 07/04/1986 – Micro-Kid (live), The Sun Goes Down (live) – Printemps de Bourges, FR3, France. 16/04/1986 – Lessons In Love – Wogan, BBC1, UK. 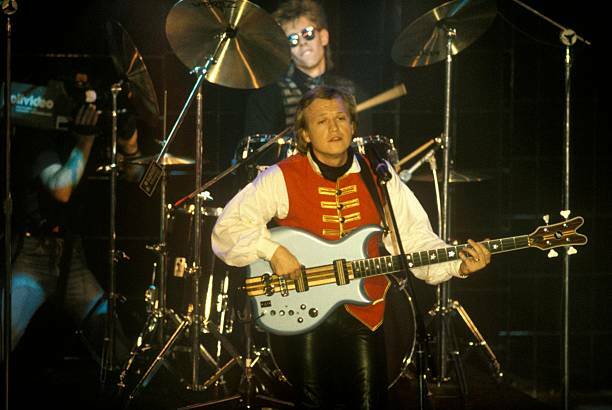 20/04/1986 – Interview with Mark King, Something About You, Leaving Me Now – Décibels, FR3 Rennes, France. 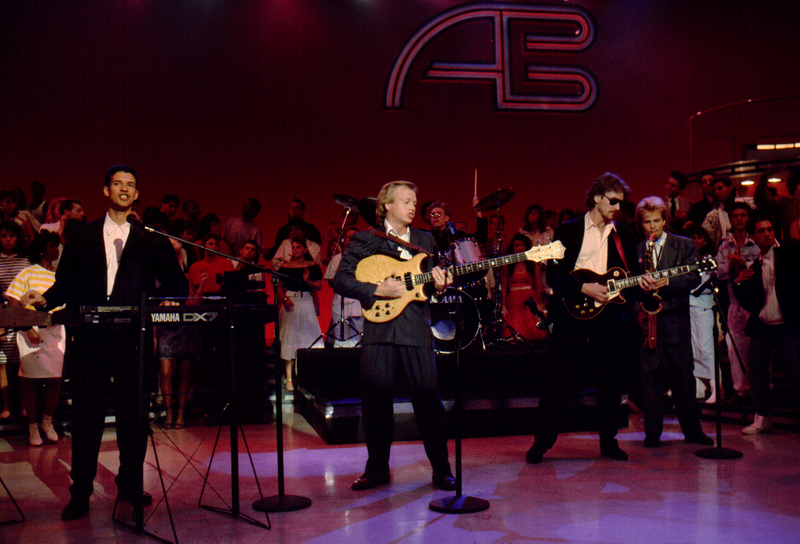 30/04/1986 – Lessons In Love – Poparound, ITV, UK. 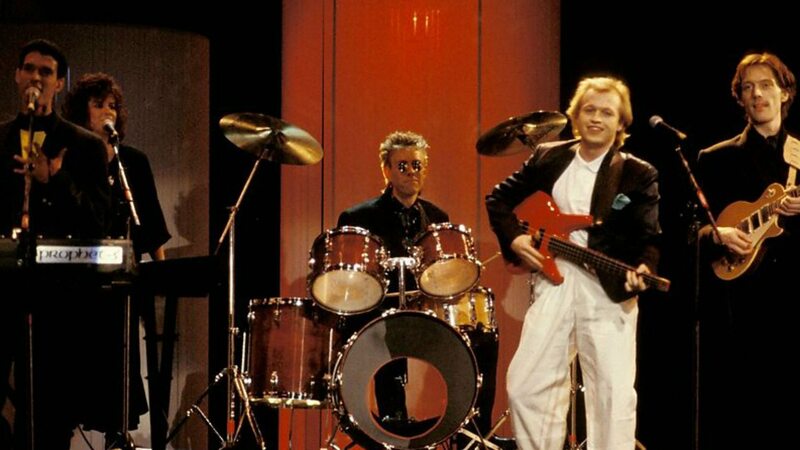 01/05/1986 – Lessons In Love – Top Of The Pops, BBC1, UK. 03/05/1986 – Leaving Me Now, Something About you, Interview – Avenue du rock, FR3, France. 07/05/1986 – Something About You – Super Platine, Antenne 2, France. 11/05/1986 – Lessons In Love, Interview, Something About You – Montreux Pop Festival, BBC, UK. 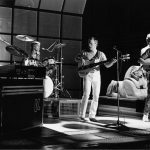 03/06/1986 – Interviews with Mark King, Mike Lindup, Phil Gould & Boon Gould, Something About You, Hot Water – The Old Grey Whistle Test, UK. 10/06/1986 – Lessons In Love – Formel Eins, Germany. 17/06/1986 – Lessons In Love – Formel Eins, Germany. 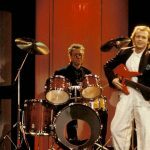 02/07/1986 – Lessons In Love – P. I. T. (Peter-Illmann-Treff), ZDF, Germany. 27/08/1986 – 19:00 – NRJ 6, TV6, France. 05/10/1986 – Lessons In Love – A la folie pas du tout, TF1, France. 1987 – Band interview – Top Ten, UK. 09/02/1987 – Lessons In Love – The BPI Awards 1987, BBC1, UK. 02/1987 – Running In The Family – Saturday Live, Channel 4, UK. 02/1987 – Running In The Family – TF1, France. 12/02/1987 – Running In The Family – Top Of The Pops, BBC1, UK. 17/02/1987 – Running In The Family – Formel Eins, Germany. 21/02/1987 – Running In The Family, Interview/Video Vote – Saturday Superstore, BBC1, UK. 24/02/1987 – Running In The Family (Making of) – Splash, ITV, UK. 26/02/1987 – Running In The Family – Top Of The Pops, BBC1, UK. 03/03/1987 – Running In The Family – Formel Eins, Germany. 09/03/1987 – Running In The Family – Festival di Primavera, Ieri e Oggi in TV, Rete 4, Italy. 11/03/1987 – Running In The Family – Wogan, BBC1, UK. 04/1987 – To Be With You Again – Countdown, Veronica, Holland. 30/04/1987 – To Be With You Again – Top Of The Pops, BBC1, UK. 19/05/1987 – To Be With You Again – Formel Eins, Germany. 09/1987 – It’s Over – La Cinq, France. 04/09/1987 – It’s Over – Wogan, BBC1, UK. 05/09/1987 – Interview – It’s Wicked, BBC, UK. 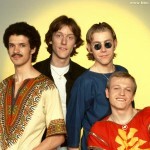 05/09/1987 – Band History: Level 42 with Mark King interview – LWT Night Network, UK. 08/09/1987 (aired) 02/09/1987 (recorded) – It’s Over – The Roxy, ITV, UK. 10/09/1987 – It’s Over – Top Of The Pops, BBC1, UK. 09/1987 – Dune Tune aka “Rapido Blues” (live) – Rapido, TF1, France. 02/10/1987 – Interview – What’s All This Then?, BBC1, UK. 07/11/1987 – 22:30 – Sábado Noche, TVE-1, Spain. 1988 – Heaven In My Hands – Sábado Noche, TVE-1, Spain. 1988 – Take A Look – Discoring, Rai Uno, Italy. 09/01/1988 – Live at Wembley – Les Enfants du rock, Antenne 2, France. 05/02/1988 – The Late Late Show, RTE1, Ireland. 01/09/1988 – Heaven In My Hands, Extratour, Radio Bremen, Germany. 06/09/1988 – Heaven In My Hands – Festivalbar, Canale 5, Italy. 14/09/1988 – Interview with Mark King & Mike Lindup, Lessons In Love, It’s Over, Heaven In My Hands, Tracie – Veronica Muziekdag, Veronica, Netherlands. 23/09/1988 – Heaven In My Hands – Vota La Voce, Canale 5, Italy. 24/09/1988 – Heaven In My Hands – Formel Eins, Germany. 26/10/1988 – Brief appearance of Mark King & Mike Lindup – This Is Your Life: Phil Collins (S 29: Ep 2), BBC, UK. 29/10/1988 – Bass Solo feat. Big Ben, Take A Look – Going Live!, BBC1, UK. 12/11/1988 – Heaven In My Hands – Rockopop, TVE-1, Spain. 1989 – Interview with Mike Lindup – TV-am, ITV, UK. 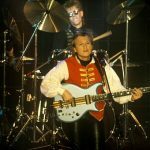 1989 – Interview with Mark King, Take Care Of Yourself – Countdown, Holland. 22/01/1989 – Interview with Mark King & Mike Lindup – The Beatbox, RTE Network 2, Ireland. 10/11/1989 – 22:20 – Mark King – Pero ¿esto qué es? – TVE-1, Spain. 1990 – Report on the Isle of Wight, Interviews with Mark & Mike – Veronica Muziekdag, Veronica, Netherlands. 1990 – Interview with Mark King & Mike Lindup, Concert rehersals clips – Thames Television, UK. 14/03/1990 – Mark King & Mike Lindup – This Is Your Life: Nigel Kennedy (S 30: Ep 22), BBC, UK. 1991 – Guaranteed – Vota La Voce, Canale 5, Italy. 1991 – Interview with Mark King & Mike Lindup, Guaranteed – Le Top, CANAL+, France. 1991 – Interview with Mark King & Mike Lindup – Giga, Antenne 2, France. 1991 – Lessons In Love – Countdown: The Files, Holland. 1991 – Interview with Mark King & Mike Lindup – Live at La Cigale, Paris, Nouba, M6, France. 1991 – Interview with Mark King – TVS, UK. 14/06/1991 – Hot Water, Her Big Day, The Sun Goes Down (Living It Up), Guaranteed, Heaven In My Hands – Live at National Ballroom, Kilburn, London, Friday Night At The Dome, Channel 4, UK. 07/1991 – Interview with Mark King & Mike Lindup, Video singles/Bass solo – Music Box Profile, ITV, UK. 31/07/1991 – Interview with Mark King & Mike Lindup, Concert rehearsals clips – Thames News, ITV, UK. 08/1991 – Interview with Mark King & Mike Lindup, Concert rehearsals clips, SKY TV, UK. 01/08/1991 – Interview with Mark King & Mike Lindup, Guaranteed (live) – Box Office, UK. 05/08/1991 – Interview with Mark King & Mike Lindup, Guaranteed – The Garden Party, BBC, UK. 08/08/1991 – Interview with Mark King & Mike Lindup, Guaranteed (live) – O-Zone, BBC2, UK. 10/08/1991 – Guaranteed, Band Interview – Ghost Train, ITV, UK. 14/08/1991 – Interview with Mark King & Mike Lindup – TV-am, ITV, UK. 15/08/1991 – Guaranteed – Top Of The Pops, BBC1, UK. 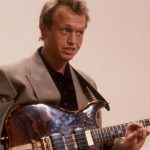 24/09/1991 – Interview with Mark King & Mike Lindup, Lessons in Love, Guaranteed – Veronica Muziekdag, Veronica, Netherlands. 11/10/1991 – Band interview – Granada Reports, UK. 16/10/1991 – Interview with Mark King & Mike Lindup – This Morning, ITV, UK. 18/10/1991 – Overtime – Pebble Mill, BBC, UK. 24/10/1991 – Interview with Mark King – Coast to Coast, UK. 1992 – Cue The Music. 02/1992 – Interview with Mark King & Mike Lindup – Escale, MCM, France. 01/11/1992 – Overtime, 26/10/1991 – Danny Kaye International Children Award for Unicef, Veronica TV, Netherlands. 1994 – Mark King & Mike Lindup – The School Around The Corner, UK. 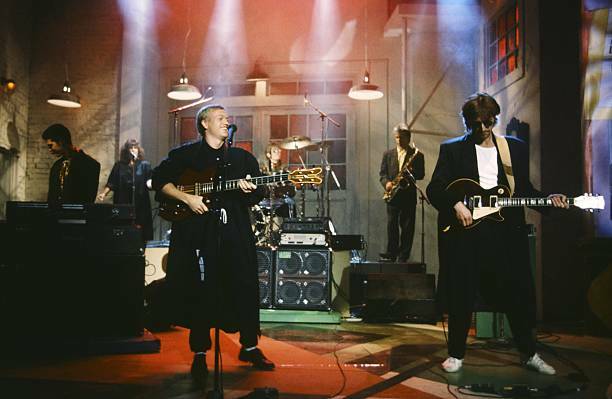 11/02/1994 – Forever Now – Kelly, Ulster Television, UK. 16/02/1994 – Interview with Mark King feat. Zig & Zag – The Big Breakfast, Channel 4, UK. 21/02/1994 – Featuring Mark King – The Big Breakfast, Channel 4, UK. 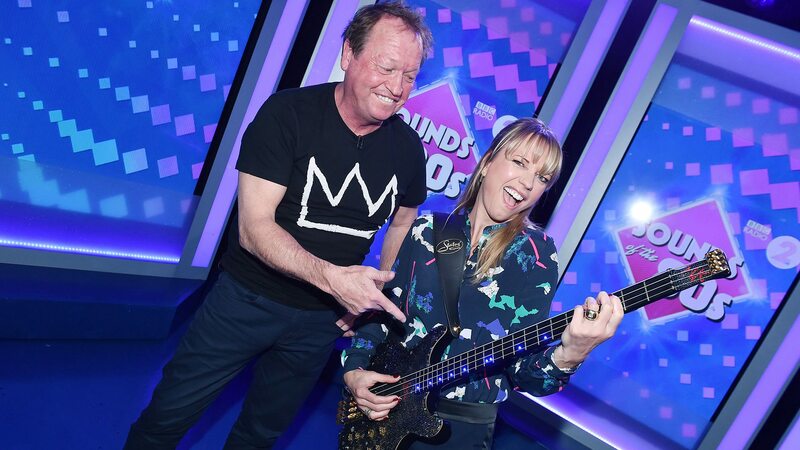 23/02/1994 – Interview with Mark King & Mike Lindup – GMTV, UK. 24/02/1994 – Interview with Mark King & Mike Lindup – SKY News, UK. 24/02/1994 – Forever Now (live) – Top Of The Pops, BBC1, UK. 25/02/1994 – Interview with Mark King & Mike Lindup, Forever Now – This Morning, ITV, UK. 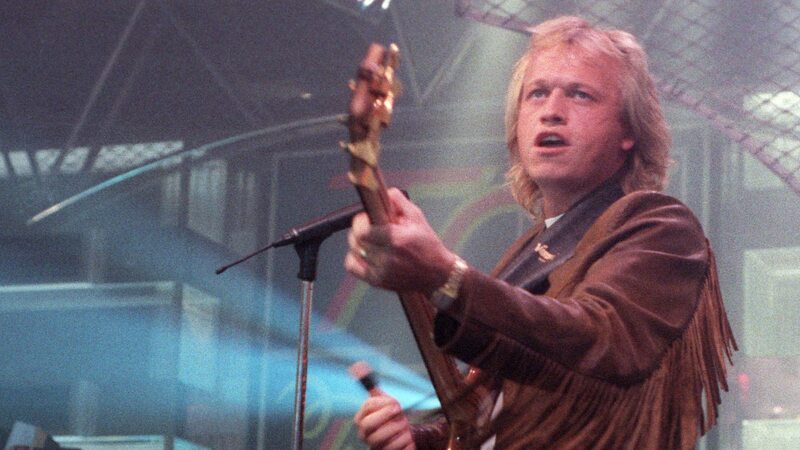 26/02/1994 – Interview with Mark King, Forever Now, Guaranteed – What’s Up Doc?, ITV, UK. 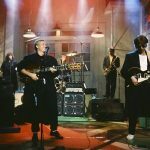 27/02/1994 – Interview with Mark King & Mike Lindup – Pat Sharp, SKY TV, UK. 11/03/1994 – Forever Now – TROS, Netherlands. 25/03/1994 – Forever Now (live) – IRMA Awards, UK. 17/04/1994 – Interview at Mark King’s home/studio – O-Zone, UK. 24/04/1994 – Featuring Mark King & Mike Lindup – Over the Wall, UK. 28/04/1994 – All Over You (Mark & Mike singing live) – Top Of The Pops, BBC1, UK. 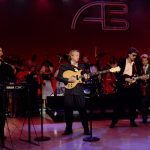 03/05/1994 – Forever Now, All Over You – Pebble Mill, BBC, UK. 24/05/1994 – All Over You – Wedden Dat. 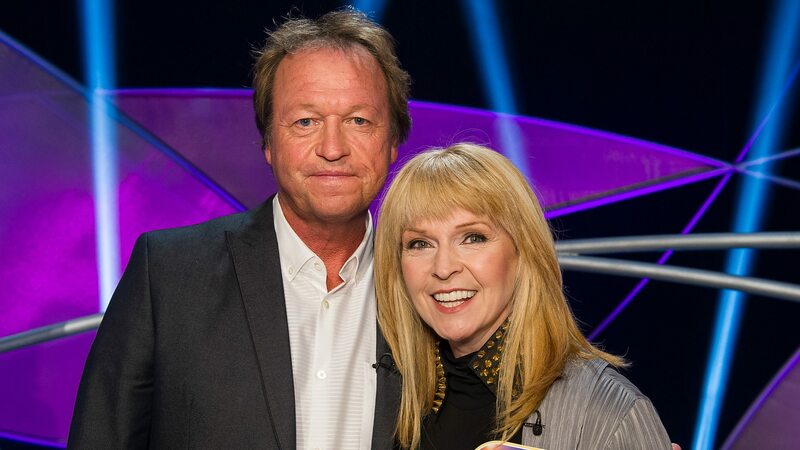 04/06/1994 – Featuring Mark King – Pop Quiz, UK. 04/06/1994 – Love In A Peaceful World (Mark King & Mike Lindup singing live) – The Brian Conley Show (S 3: Ep 5), ITV, UK. 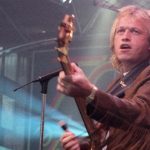 26/07/1994 – Interview with Mark King – O-Zone, UK. 27/07/1994 – Featuring Mark King & Mike Lindup, Love in a Peaceful World, GMTV, UK. 04/08/1994 – Love In A Peaceful World (live) – Top Of The Pops, BBC1, UK. 09/08/1994 – Love In A Peaceful World – Staatsloterijshow, Veronica, Netherlands. 27/09/1994 – Forever Now – The Fast Show (S 1: Ep 1), BBC, UK. 10/10/1994 – Interview with Mike Lindup – The Gen, UK. 26/04/1995 – The Best Of The Tube, UK. 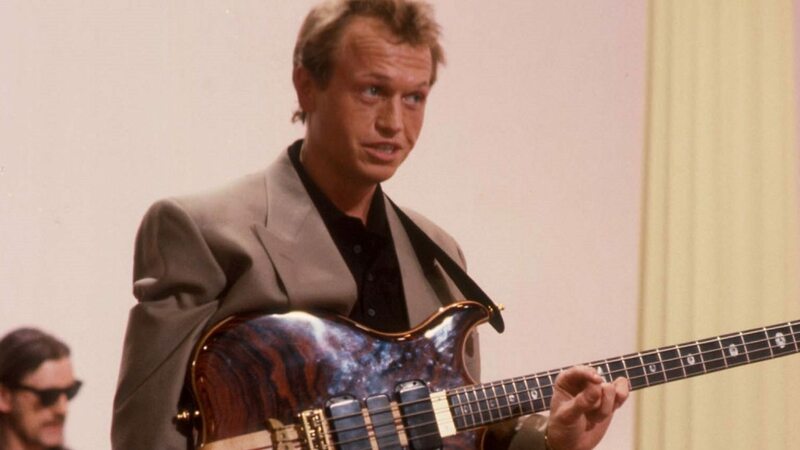 29/04/1996 – Interview with Mark King – The Pier, King Of The Isle, ITV1, UK. 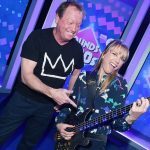 15/09/1998 – Interview with Mark King – This Morning, ITV, UK. 21/09/1998 (aired) 10/09/1998 (recorded) – Interview, Bitter Moon (live), Love Wars (live), Something About You (live) – Talking Music, VH1, UK. 19/11/1998 – Interview with Mark King, Bitter Moon, It’s Over/Lessons In Love/Hot Water, Hello It’s Me feat. Toots Thielemans (Todd Rundgren), Poessie Mauw, Sunshine Of Your Love (Cream), Oliver’s Army (Elvis Costello) – Lalala-Live, AVRO, Holland. 13/02/1999 – Hot Water (live) – Go Morgen, Denmark. 03/1999 – Running In The Family (live) – Den Store Klassefest, TV 2, Denmark. 15/06/1999 – Interview, Hot Water, Pamela, Love Wars, Bitter Moon, Changing The Guard, Love Games, To Be With You Again, Mr. Pink, Running In The Family, Lessons In Love, Something About You, The Chinese Way – Live at TV-Studio “Ohne Filter”, Baden-Baden, Germany. 11/1999 – Interview with Mark King – Birmingham, Ronnie Scott’s, Central TV, UK. 04/01/2000 – A Family Of My Own, BBC1, UK. 04/11/2000 – Band interview – Top Ten: 1987, Channel 4, UK. 28/03/2001 – Brief appearance of Mark King – This Is Your Life: Midge Ure (S 41: Ep 18), BBC1, UK. 11/02/2002 – Mike Lindup (Mystery Guest) – Never Mind The Buzzcocks (S 10: Ep 6), BBC, UK. 10/08/2003 – Rick Wakeman (Yes) vs Mike Lindup – Banzai (S 1: Ep 5), FOX, USA. 23/06/2006 – Interview with Mark King – Meridian News, ITV Meridian, UK. 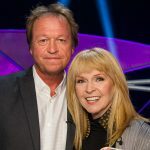 23/06/2006 – Interview with Mark King – Meridian Tonight, ITV Meridian, UK. 02/08/2006 – Heaven In My Hands (live), Interview with Mark King – Live in St Truiden/Q-Music Greatest Hits Tour, De Bus, TV Publiek, Belgium. 27/11/2006 – Interview with Mark King & Mike Lindup, Dive Into The Sun – Jensen!, RTL 5, Holland. 29/01/2007 (aired) 04/11/2006 (recorded) – Interview with Mark King, Dive Into The Sun, To Be With You Again, Hot Water, Rooted, World Machine, Retroglide, Leaving Me Now, Kansas City Milkman, Love Games, The Sun Goes Down, Running In The Family, Lessons In Love, Something About You, Sleep Talking, The Chinese Way (live at Jazztage Leverkusen, Forum) – Rockpalast Special, WDR, Germany. 25/09/2007 – Lessons In Love – Ciao Darwin, Canale 5, Italy. 24/02/2009 – Interview with Mark King – RTL Boulevard, RTL 4, Netherlands. 28/05/2010 – Interview with Mark King & Mike Lindup – De Rode Loper, Eén, Belgium. 02/07/2010 – Hot Water, Dream Crazy, World Machine, Kansas City Milkman, Running In The Family, It’s Over, Starchild, Almost There, The Sun Goes Down (Living It Up), Something About You, Lessons In love, Love Games, Heaven In My Hands, The Chinese Way (live at Estival Jazz, Lugano, Piazza della Riforma), Interview with Mark King & Mike Lindup – RSI La 2, Switzerland. 27/10/2011 – Lessons In Love (live), Interview with Mark King – De Laatste Show, Eén, Belgium. 09/07/2015 – Mark King – Lessons In Love (live), Running In The Family (live) – Allsang på Grensen, TV 2, Norway. 31/12/2016 – Mark King – Jools’ Annual Hootenanny, BBC Two, UK.